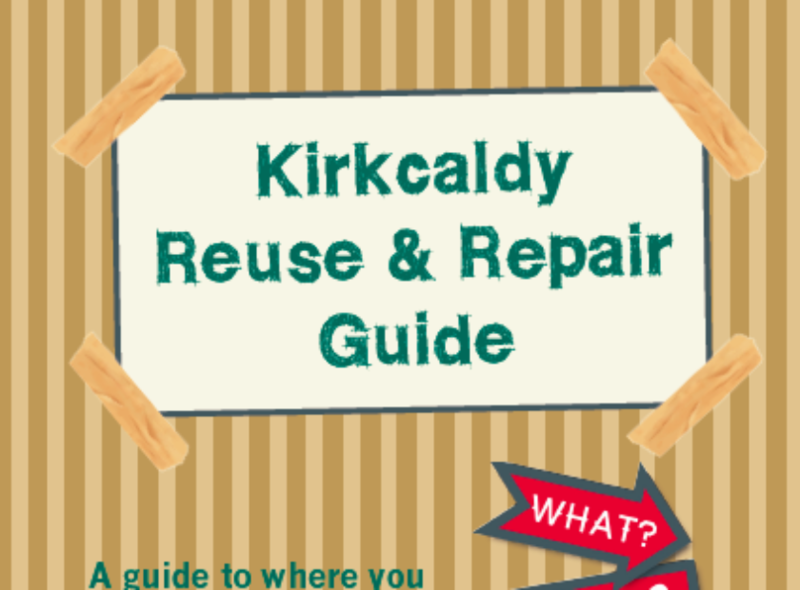 Our ‘Kirkcaldy Reuse and Repair Guide’ is a guide to where you can get things fixed, buy second hand, sell or donate in Kirkcaldy. This guide is part of our waste project, working with the local community to reduce waste by reducing, reusing and repairing. many of the things we throw away or send to recycling centres are still useable. Something that you don’t want anymore could be re-used by someone else, or could be given a new lease of life by being repaired. We can also reduce production of new items by buying second hand. The guide is by no means conclusive and we hope to regularly update it. The current guide was updated in March 2018. If you come across any businesses or organisations in Kirkcaldy that you feel should be included, or if you have an item not mentioned that you would like to see in this guide, please contact us by emailing info@greenerkirkcaldy.org.uk.